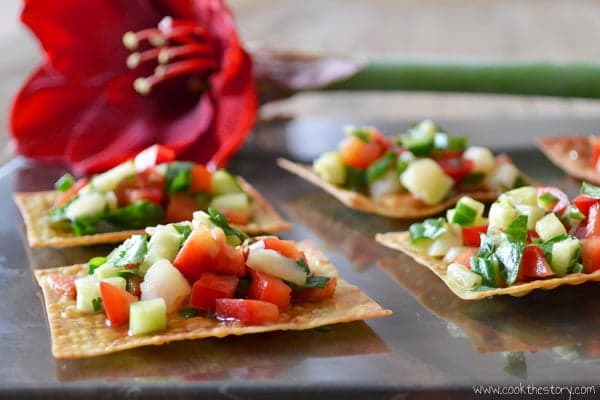 These little morsels are the perfect easy appetizers to keep you eating and having fun with your company without worrying about over-indulgence. 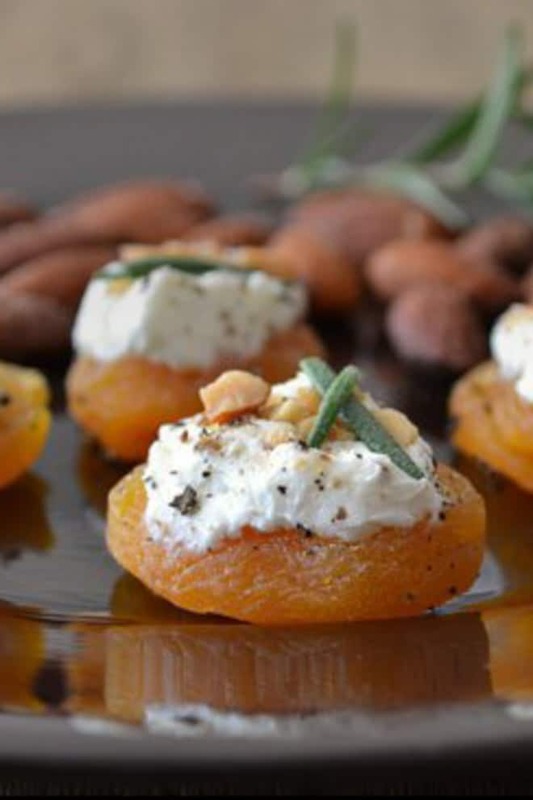 Today’s recipe is for Apricot Canapés with Goat Cheese, Almonds and Rosemary. 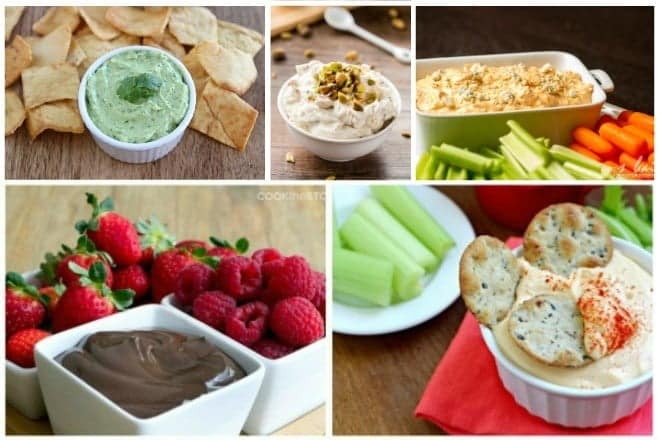 Finding delicious but healthy appetizer recipes can be hard. But I’m determined. It’s important. Thankfully, I think I’ve figured out a pretty good healthy appetizer strategy. 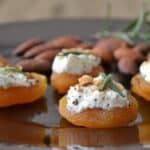 This easy and healthycanapé recipe is sweet, tangy, salty and herby all at once because of the apricots and goat cheese. A single bite hits so many taste buds that you’d never know it was good for you! 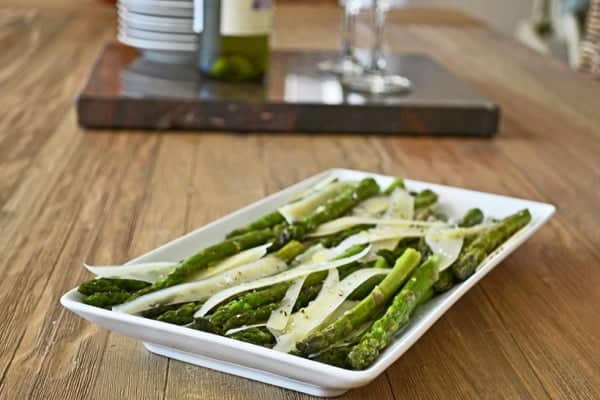 Why are canapés the perfect healthy appetizer for entertaining? I love these because they’re portioned they’re so darned pretty. We eat with our eyes first. Having a pretty morsel in front of me, even if it’s a healthy one, makes me feel like I’m indulging even if I’m not. How satisfying! I’ve constructed this recipe such that it makes 8 little canapés. But you’ll see that it is extremely simple to adjust it to make any number that you want. The apricots really are the perfect base because they’re thick enough to hold what you want on them & have that sweetness to them that really compliments the cheese. Have I convinced you to try them? Place the apricots on a serving plate. Top each one with a little 1/4 teaspoon scoop of goat cheese and smoosh it down a bit. Grind some pepper over the whole plate. Using the goat cheese as the glue to which your remaining items will stick, sprinkle each bit of goat cheese with one-eighth of the almonds (a good pinch on each one is about right) and then gently press on two rosemary leaves. This post originally appeared in May of 2013 and has been revised and republished in December of 2018.
could you use fresh apriocot halves for these as well? Sheri, I had never thought of it before but yes, I think you totally could. Great idea! Can these be made ahead and refrigerated? If so, how much ahead? Morning of a dinner party? Night before? Thank you. Karen, I’ve never tried making these ahead but I think they should work if you do them the morning of. If you try it, let us know how it goes. I made these for my party tonight and they were perfect! So easy and delicious. I was given a big bag of dried apricots and this was a lovely way to use them. What a neat appetizer. I love both goat cheese and dried apricots so this is one I know I’ll be trying soon. I never thought of transforming dried apricots to canapes. They sure look very appetizing! What pretty canapes! I’ve never thought about using dried apricots. Brilliant idea. They go so well with the goat cheese and almonds. It would be one tasty bite for sure! What a great recipe!! So different, I love it!!! Thanks so much for sharing!! I love the idea of using dried fruit as a base–brilliant! 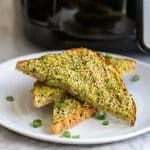 I am going to try some variations, since I no longer eat bread. These canapes look so pretty! 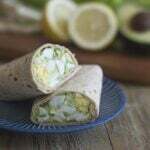 Great to serve at a party or anytime for a healthy option! I love canapes of any kind. The healthy aspect of these make them even better. We are having girls night in this month and these are so going on the menu! 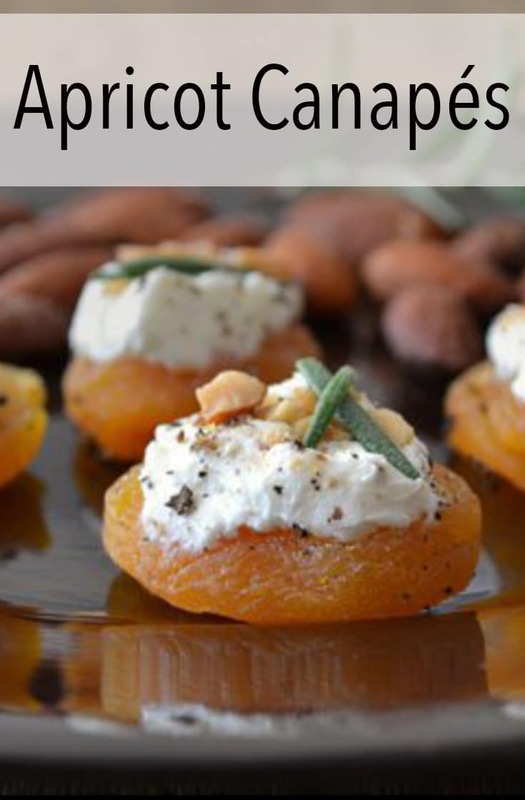 I love dried apricots and filling them with goat cheese sounds like a scrumptious appetizer!! I’m sorry your family has been touched by heart disease…. First of all thank you so much for joining us today. It’s a pleasure and honour to have you. These look so good, cute and healthy food just makes me so happy. I don’t make enough canapes. I need to change that. I now know where to come when I need a fabulous recipe. I am sorry about your Gee Gee. And for BaBa who struggled. It’s amazing how many people are touched by heart issues. I like the way you approach it, it’s not just about being thin, but being healthy. I think more of us need to think like that. I’ve struggled with my own battles over the years and getting older and closer to the age my mom passed at scares the heck out of me. So it’s just time to start making some changes so I can be around for my kids and one day, grandkids. Christine, these little apps are the cutest! Most folks think of using a cracker or crostini as a base; I love that you chose little apricot saucers. Wonderful, healthy combination of ingredients here. 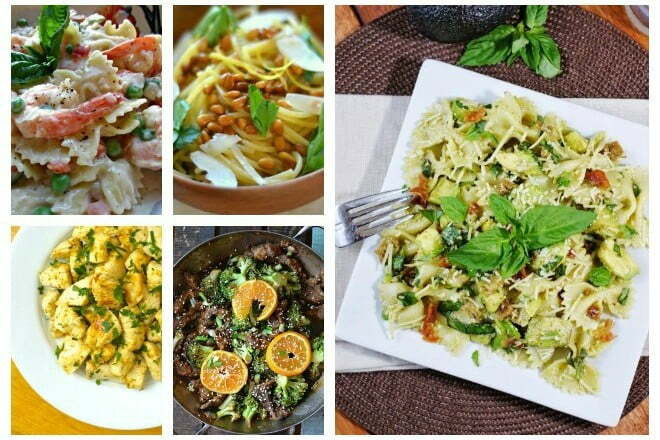 I am really enjoying reading all of the heart-healthy recipes in this collaboration. And hearing everyone’s stories. The more I read, the more it hits home that heart disease is more than just statistics. It’s families. More than enough reason to look at the way we eat. What a wonderful collaboration for a very worthwhile cause! I think your apricot canapes are both healthy and delicious. What a great little appetizer. It’s like you put all of my favorite foods in one little bite! So gorgeous and so amazing! 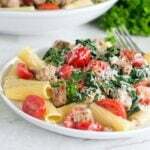 Thank you for sharing your thoughts and this fabulous recipe! What beautiful canapes, Christine! I WISH I had the self-control to stop at one (or three! ), but I may have to cut off my fingers to prevent myself from delighting in the entire tray of these! !